The Frederick Douglass Council is an affinity and networking group that highlights the important role that African Americans have played in American and New York history. Our goal is to deepen discussion and engagement on a variety of topics through public programs, exhibition viewings, and exclusive events throughout the year. 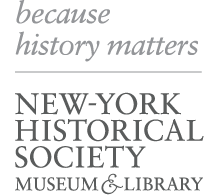 Please contact the Membership Department at (212) 485-9279 or membership@nyhistory.org.